Researchers from the University of Siena in Italy recently looked at the carbon footprint of organic wines compared to non-organic wines from two farms that lay just 30 kilometres apart in Tuscany. According to New Scientist, the researches measured the resources used to grow, package and distribute the wine. Guess which wine came up trumps? One bottle of organic wine had an eco-footprint of 7.17 square metres, whereas the non-organic variety had a footprint of 13.98. The reason for this is that most of the operations on the organic farm were performed by hand rather than using oil intensive conventional methods of production. Organic farmers are likely to better preserve their land's soil and water resources as they depend on the natural environment to get the most from their vines rather than relying on heavy chemicals to accelerate growth and boost capacity. 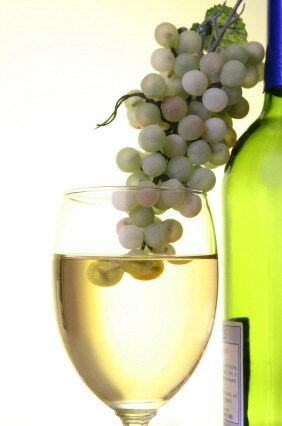 Grapes used to make traditional wines are heavily sprayed with fertilizers and pesticides. This is one of the reason's organic wines are better for you. Another is that they contain less sulfites (salts or sulfurous acid). Traditional wine makers add sulfates for preservation but wines that are wholly organic should not have any sulfates added to them. Better still, organic wines have bolder, brighter flavours. Organic wineries don't tend to add flavours like oak chips, instead opting for very basic techniques involving yeast to ferment the grapes. A number of studies have indicated that drinking one glass of wine a day (particularly a glass of red) could decrease a person's risk of heart disease. It's reasonable to expect the less harmful chemicals in a wine would decrease this risk even further. A glass of organic wine a day keeps the coronary doctor away, perhaps?